How to pick the best Futures broker? This page will explain it to you! Futures are among the oldest trading instrument, even though they were not considered as such at the beginning. The futures market started as a way for farmers to secure a favourable income at the time of harvest and for buyers to get the best price. Imagine a wheat farmer who had a bad harvest previously and would like to ensure the best income in the coming season. This would require an input of money for all the agricultural inputs they would need, and that costs money. On the other hand, a flour manufacturer would like to ensure that they get the best price in case there’s a poor harvest and prices go up. So, the two agree on a price and date in the future – hence, futures. Today, the futures market is still used for this same purpose by those who want to hedge and reduce the risks of price movements. The only thing that’s changed in this regard is that there are lots more commodities traded in the futures market other than just agricultural products. The agricultural products are now classified as soft commodities and they include grains and livestock. Hard commodities include precious metals and industrial metals, then there are futures for energy products such as oil. There are also futures for stocks and bonds, too, and there can be futures for any other tradable instrument. Besides those who want to have the actual delivery of the product, there are also speculators, who would only like to profit from the price movements of the asset. Let’s assume you fall into this category. Futures always have an expiration date, at which time the delivery of the product will be expected. I don’t imagine you would like to have 1,000 head of cattle delivered to your apartment, do you? Then you’re a speculator. Now that we have that established, let’s look at how you can trade futures. What is the role of a futures broker? Just like stocks, futures are traded on exchanges. Popular exchanges for futures trading include the Chicago Board of Trade (CBOT), which is also the world’s oldest exchange, and the Intercontinental Exchange (ICE). A futures broker is going to be connected to such an exchange in order to receive real-time market quotes for the futures listed on the exchange. The futures broker is then going to relay the market quotes to their clients either through a trading platform or via a website. Once you place an order, your broker is then going to transmit your order to the exchange, so that you can be in possession of the futures contract. There are other differences between the futures market and other markets like the stock market. The most significant is the expiration date, because the contract needs to be exited before this date, otherwise the physical delivery of the product would be expected. The markets also open for a shorter period, between 8:30am and 1:30pm Central Time. Perhaps the most glaring and lucrative aspect, however, is that futures contracts don’t require as much of a deposit or down payment as stocks. Being a contract for the future, the actual payment of the asset should be made at a later date, hence the trader does not need to pay for the entire product. All that’s needed is the performance bond, which is basically a show of faith, yet the trader can treat the underlying asset as if they already own it. This presents the potential for enormous gains, and that’s even before the broker adds leverage. With leverage, the trader needs an even smaller amount of money to control a very large amount of physical product. It makes the futures market very lucrative for traders, even though the risks are also very real. Furthermore, prices in the futures markets tend to move more significantly compared to, say, the stock market. Unlike the stock market, major players in the futures market are actual hedgers who expect delivery of physical goods. This are usually manufacturing companies, and they will place very large orders. These huge trades make the futures markets volatile, further making them attractive for speculators. What are the characteristics of the top futures brokers? To place an order in the futures market, you will need to pay a performance bond upfront. This money goes to the exchange for enabling the trade, and is also referred to as the initial margin. For futures, initial margin can be as little as 1% of the total value of the trade, depending on how the owner of the contract estimates the losses. As a result, you can own a large quantity of product with only a small deposit. The top futures broker will then sweeten the pot by adding leverage on top of that, so that you need an even smaller amount of deposit. Imagine if a trader wanted to purchase wheat futures for May 2017 contracts from the CBOT, which is currently trading at $425 at the time of publishing. To trade 1,000 bushels of the same would normally require $425,000 on the spot market. On the futures market, however, only a $27,625 initial margin would be paid to the CBOT exchange. If the value of wheat appreciated to $450, the value of the contract would then be $450,000, which would be a $25,000 profit to the trader. However, if the trade went bad and wheat depreciated to $420, that would cost the trader $5,000 in losses. Furthermore, futures exchanges require that the trader’s account maintain a certain maintenance margin. If the trader’s account fell below the maintenance margin, they would get a margin call requesting that they deposit more money. The beauty of leverage is that the trader can make similar profits with an even smaller deposit. For example, if the futures broker offered leverage of 100:1, a trader could initiate the same trade with just $276.25 but still enjoy the huge profits. Futures are usually heavily leveraged, and it is not uncommon to find leverage as high as 500:1. When choosing the best future brokers, check to see the amount of leverage they offer and choose the one you feel is right for you. Just remember that leverage is a double-edged sword that can be beneficial just as it can be detrimental. It’s always best to go for a reasonable amount of leverage that keeps risk at a manageable level. Being a centralized market unlike the Forex market, the futures broker needs to be connected to the futures exchanges in order to enable you to access these markets. The broker will first need to be licensed by the CFTC, if they operate in the US, and the FCA if they operate in the UK. Every region will have its own financial regulator that ensures the futures brokers do not perform any wrongdoing. Next, the broker should have a direct link to the exchange where the futures are traded. Usually, some exchanges will specialize in a few categories of futures, but none will have all the futures. CBOT, for example, is well known for listing soft commodities while New York Mercantile Exchange (NYMEX) is better known for energy products. A top rated futures broker will be the one with access to several exchanges so that you can have a wide variety of futures to trade. On the other hand, you can just pick a futures broker who is connected to a single exchange, as long as that futures exchange has the futures you would like to trade. Still, it’s best to have a wider variety. Unlike other markets with spreads, futures brokers make money only from commissions charged on the initial margin. Because the initial margin is so small and the broker also adds leverage into the trade, commissions are usually smaller compared to other markets. When you’re looking for the best futures broker, find the one who charges the most reasonable commission without compromising on any other service. Here, remember that the least commission doesn’t make a broker the best choice. More often than not, such a broker would be compromising on other aspects of their services to accept lower commissions than their competitors. Sometimes, it’s better to get charged a slightly higher commission for the security of your funds and the provision of better services. To confirm your pick, check out futures brokers reviews on several websites to see what other traders have to say about the broker. In the futures market, just like many other fields, human resources still remain the most vital source of information. Finally, remember to do your due diligence on the futures markets – learn all you can about the factors that affect market prices and in particular, those that affect the asset you’re interested in. 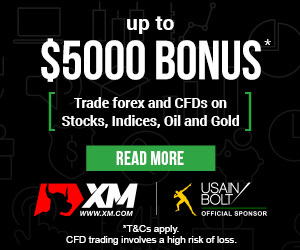 Some of the brokers on the top futures brokers list will even have experts that will send you trading tips so that you’re always aware of what’s going on in the markets. This, too, is something you should look for in a futures broker.